This case explores conservation and social issues associated with the destruction of vast tracts of farmland in the Great Plains in the late 1800s caused by massive swarms of the Rocky Mountain Locust, Melanoplus spretus. 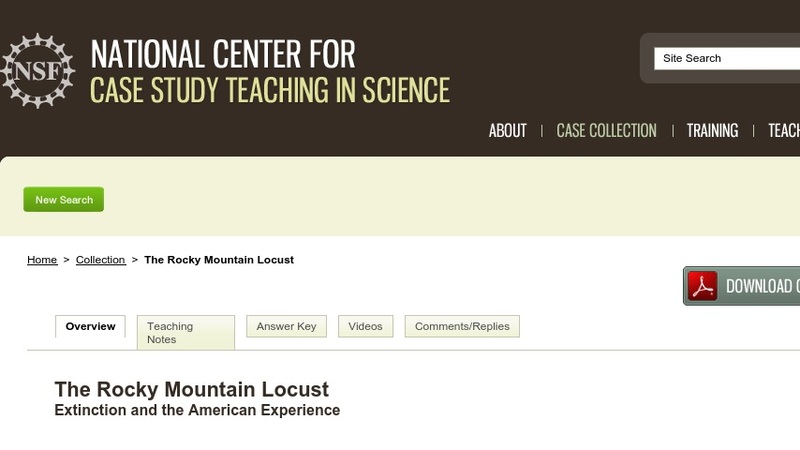 The case was developed for a freshman non-majors environmental science course. Components of it could also be used in an ecology, general biology, public policy, history, or political science course.